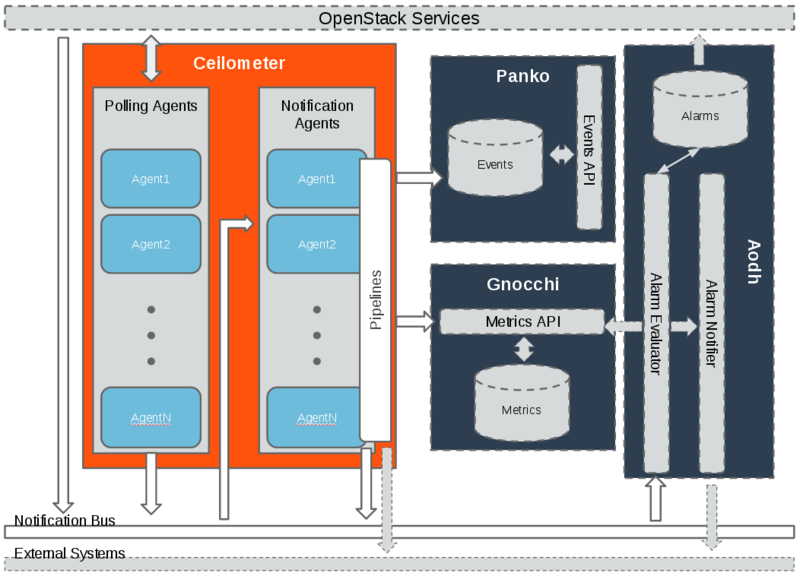 An overall summary of Ceilometer’s logical architecture. This is a representation of how the agents gather data from multiple sources. Notification agent consuming messages from services. Polling agent querying services for data. The assembly of components making the Ceilometer pipeline. Example of aggregation of multiple cpu time usage samples in a single cpu percentage sample. 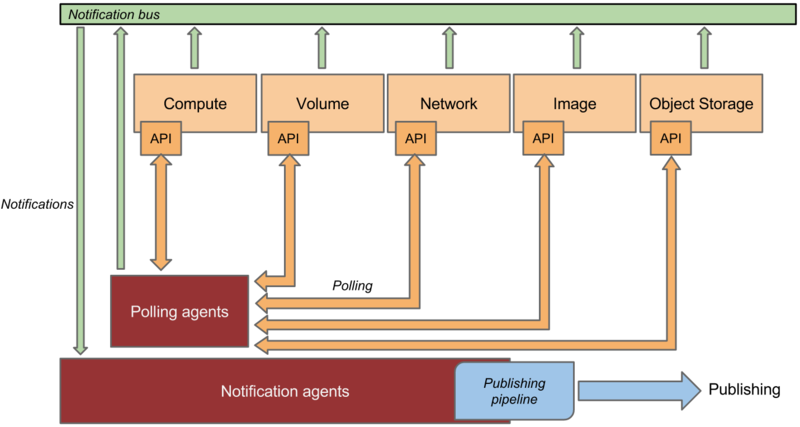 The data gathered from the polling and notifications agents contains a wealth of data and if combined with historical or temporal context, can be used to derive even more data. Ceilometer offers various transformers which can be used to manipulate data in the pipeline. The equivalent functionality can be handled more stably by storage drivers such as Gnocchi. This figure shows how a sample can be published to multiple destinations.